"We are not willing to just be researched and examined. We are wanting to be engaged." This statement by Monica Lewis-Patrick, co-founder, president, and CEO of the community activist organization, We the People of Detroit, expresses both challenge and hope. The challenge is around real and difficult issues, such as access to affordable, quality water in the city; the hope is expressed in the engagement that is happening around these issues. Jennifer Carrera, Jade Mitchell, and Lucero Radonic form a team of MSU researchers who are engaging with We the People of Detroit and communities in Detroit to address the issue of water quality as it relates to affordability in Detroit, where aging infrastructure, declining population, and rising costs have led to thousands of water shutoffs in the city. 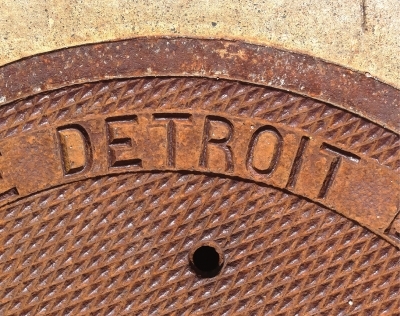 Detroit citizens rally around access to water in Detroit. Monica Lewis-Patrick is in orange on the right. Photo courtesy of WTP-CRC. "You've got aging infrastructure in the home; you've got aging infrastructure in the distribution system, and you have tens of thousands of water shutoffs every year in the City of Detroit—plus you have an infrastructure that's built for at least twice the population that's currently there," said Carrera. "All of those factors together lead to the possibility that water quality at the point of use is not what we think it is. It doesn't mean that's what we're predicting. We're just asking the question: What is this relationship?" According to Mitchell, this is a long-term problem and Detroit is not alone in it. "From a scientific perspective, this is an ongoing problem," she said. "The EPA put out a request for proposals and announced it as a national priority. It's definitely bigger than Detroit, but in Detroit, because there were thousands of shutoffs, no one was really looking at what that is doing to the system. It's not designed for that. It doesn't just affect the households where water is shut off; it affects the entire neighborhood, and really the entire system." We the People of Detroit Community Research Collective (WTP-CRC) is a collaboration of community activists, academics, researchers, and designers, producing research with and for the citizens of Detroit around the social consequences of austerity policies in Detroit, including policies that impact equitable access to water. "We sit on one fifth of the world's fresh water," said Lewis-Patrick. "Twenty-three percent of the commerce that comes into this country comes in by way of Detroit. So Detroit is a pinnacle part of whether this country is going to move forward or continue to move backwards. Our group was created to use science to serve the community and to be able to counter the narrative that it's OK to deny people access to water." 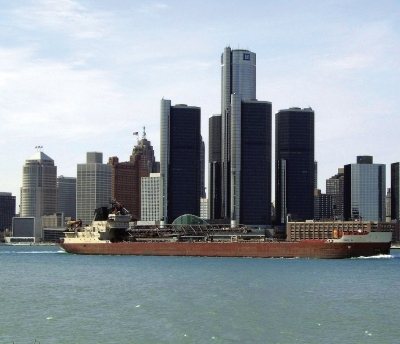 The Detroit River is a major international port of commerce and provides water to Detroit and many surrounding suburbs. Lewis-Patrick met Carrera through the People's Water Board. Dr. Carrera began engaging with the People's Water Board in 2010 through her work in Detroit with the Michigan Welfare Rights Organization. "Dr. Carrera spent a length of time in Detroit, working on issues like welfare rights," said Lewis-Patrick. "That's key to highlight, that engagement with the community is something that has to be built and fostered and nurtured over time." This previous engagement facilitated the connection of Carrera's research at MSU with WTP-CRC's work on water affordability in Detroit. WTP-CRC's work has four focus areas: water testing, story-telling and videography, door-to-door research, and mapping. The MSU team is collaborating with the collective to implement the water testing piece, looking at it from two angles: (1) How does water affordability affect water quality? and (2) How do communities use data and research to promote their own public health or political objectives? The next phase will involve sampling residents' water for substances such as heavy metals, microorganisms, and disinfection by-products. To preserve anonymity, the MSU team does not go into the homes themselves to take the samples. "We're working with the Community Advisory Board to train field workers to help the residents take their own samples and do some preliminary analysis in their households," said Mitchell. This process also works towards a true citizen science approach. "Community members, via the Community Advisory Board, are engaged in the entire process. So even with developing the training protocols and what things we're going to sample with, all of that is being developed with our community partners." The EPA has announced water quality issues in aging cities as a national priority. Ensuring residents' privacy is a key concern. "Should we identify problems with water quality in people's homes that could present residents with new problems such as the potential for reduced housing values? We want to be able to provide residents with as much information as possible while making their individual results anonymous to the MSU research team. This presents some unique challenges for us in how best to collect data," said Carrera. "We have residents taking pictures of their plumbing and some pictures of what their experience with the water shutoff has been and then narrating that on an audio recorder, but we do not have any direct link between the water quality data and the individual participants in order to protect their privacy." "Jennifer and her team are lending their expertise, guiding and consulting with us on it," said Lewis-Patrick, "but the concept and the implementation is a community project. And so the community will be testing their water and learning how to read the data, and the community will be presenting the data, not only to others in the community, but we hope, to legislators, to lawyers, and in whatever area we can re-garner power and take back control." The project is not without challenges, especially with timing and logistics. The sampling needs to happen in homes where the water is being restored after a previous shutoff. It also needs to happen in warm weather so that the pipes aren't frozen, which would throw off the chemistry. "Logistically, this type of project is not easy because we have to time it perfectly," explained Mitchell. "Somebody has to be engaged with the community all the time. So there's a couple different layers of logistical planning." At a later stage, the MSU team will do follow-up engagement with community members and the Community Advisory Board to talk about what the results mean and how they can enhance their ability to participate in water governance in Detroit. "As a researcher, it's important for me to understand what I'm doing in terms of what impact my research has on the community that I work with," said Carrera. "There is a lot of interest in working in communities that are struggling, but that research tends to be very extractive without a real focus on what kinds of information or tools are you providing for those communities." 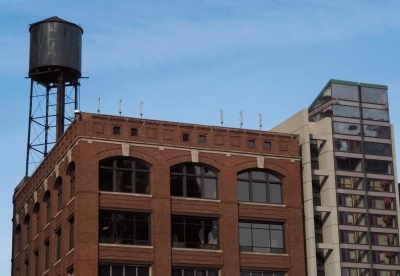 Aging infrastructure in cities like Detroit can impact access to quality water. Carrera points out that the project is important, regardless of the findings. "I'm not hoping to find that the water's contaminated," she stressed. "That's not a kind of thing you hope for. It could be that we end up finding nothing, and that's good news. As researchers we will learn about the process of collecting water quality data in partnership with the community and the community will learn that their water quality is something they can have confidence in, which is really important right now given the uncertainty around water quality and official sources of information in the State of Michigan at this time. If we do find contaminants, then that's really important too. It's important for residents; it's important for activists; it's important for the water departments to know if there are problems that need to be addressed. So either way, I see good things coming out of the actual data that we find." For We the People of Detroit, this knowledge is power. "The biggest objective is to educate the community," said Lewis-Patrick, "and to work with the community to build collective power around affordable water." One of Lewis-Patrick's colleagues, Sharon (Shea) Howell, a faculty member at Oakland University, acknowledges how important this kind of engagement is for the University and appreciates MSU's contribution to the effort: "I think one of the benefits of community engagement for the University is to recognize that people are smarter than they have thought, to recognize that there are questions that are important that they haven't asked, and that there are ways of educating beyond the classroom. In my experience in Detroit, MSU has been a leader in helping solve community problems. I think that through this, the University has the opportunity to spearhead national policy around water, both in terms of the science of pure water, and the sociological aspect of water as a human right." Following her partners' lead in this community-based participatory action research project has been rewarding for Carrera. "It's a scary process for a researcher to really let go control of the project," she said. "But it's been really interesting to see how the Community Advisory Board is envisioning this as being something useful to them, and how they think that information can be applicable to the community as a whole. We would never be able to provide that as researchers. Just to see them excited about it and listen to them and listen to their direction has been a great process."